Pros: Fun and lively, this production brilliantly exploits the humour that is everywhere in Austen’s story and characters. 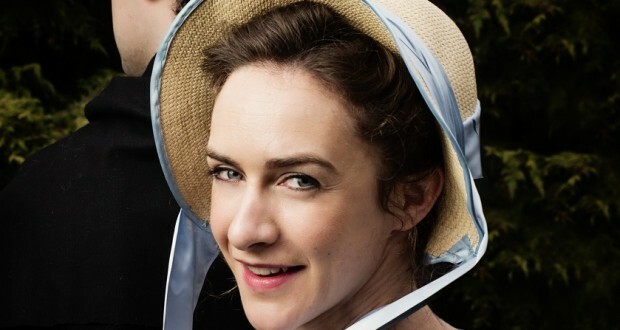 Cons: The show has little time to dwell on the development of Elizabeth and Darcy’s slowly-realised love. The comedy is abundant but the romance is a bit lacking. Another immensely enjoyable production from Rosemary Branch Theatre. A lively, fast-paced adaptation that doesn’t stop to draw breath, sparkling with Jane Austen’s brilliantly funny characters and witty dialogue. 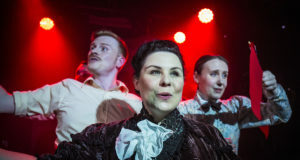 The Rosemary Branch’s fun and lively adaptation of Pride and Prejudice will not disappoint fans of either the original book or the much-loved screen adaptations. 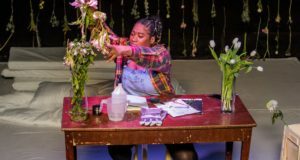 This production does wonders within the limitations of a very small stage space and a cast of just seven people, creating a show that is smart, swift, and funny. Apart from the central lovers, each cast member plays multiple characters, switching between them at dizzying speed with no costume changes to indicate the shifts. As someone who knows the story of Pride and Prejudice well, I found it easy enough to follow the quick character changes, but it may be more difficult for anyone unfamiliar with the plot. On the other hand, the cast do a fantastic job of bringing Austen’s vibrant characters to life, exaggerating their foibles and characteristics to make each recognisable. George Haynes, playing Mr. Bingley, Mr. Wickham, Mr. Collins and Colonel Fitzwilliam, steals the show. Haynes portrays his array of characters with comic intensity; his Mr. Bingley is grinning and enthusiastic; Mr. Wickham sleazy and swaggering; and Mr. Collins simply ridiculous – as he should be. Austen fans will appreciate how faithful this adaptation is to the book’s language. In fact, the entire script is taken directly from the book; the text’s language has been abridged but has not been altered or added to at all. This means that during the play someone is almost always talking and the characters often speak the words of the narrator, explaining their own emotions or narrating their actions as they perform them. It is a singular approach that is unusual and slightly overwhelming to begin with, but overall works nicely and creates some very funny moments. This approach gives the cast plenty of opportunities to gently mock the characters they are playing, doing full justice to Austen’s gently, mocking wit and incredible array of lovably ridiculous characters. Although much has been pruned to cut Pride and Prejudice down to size, there remains a lot to fit into the two-and-a-bit hours of the play. 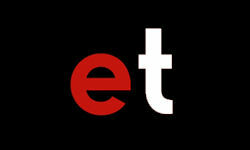 The production storms along at a fast pace; lively and energetic. The speed displays Austen’s witty dialogue to great advantage; the quick, mocking exchanges between characters are very funny. And yet I felt the pace was sometimes too fast, too hurried. Perhaps this is unavoidable considering the challenges of turning a three hundred page novel into a play. I felt that the speed of the production highlighted the comedy of the story, but sometimes overlooked the drama and romance. A more languid pace would allow us to enjoy the slow maturing of one of literature’s most delicious love stories. As it is, Mr. Darcy does not seem particularly integral to the production or story. With so much activity, so much witty conversation filling up the stage, it is strangely easy to overlook the silently brooding Mr. Darcy: a man who does not join in with the easy, lighthearted conversation of the rest of the characters. Many of his actions in the story actually take place offstage and are only later related by other characters, so Mr. Darcy is unfortunately not often in the limelight. Overall, the production focuses mostly on the fantastic comedy of Pride and Prejudice’s characters, rather than the slow-burning love story at it’s heart. The Rosemary Branch is a comfortable and welcoming pub theatre in East London with a cosy little theatre space upstairs. Unlike many pub-theatres, the theatre space does not suffer from unwanted noise from downstairs. Even better, the seating is thankfully tiered, so there’s no craning your neck to see what’s happening on the stage. 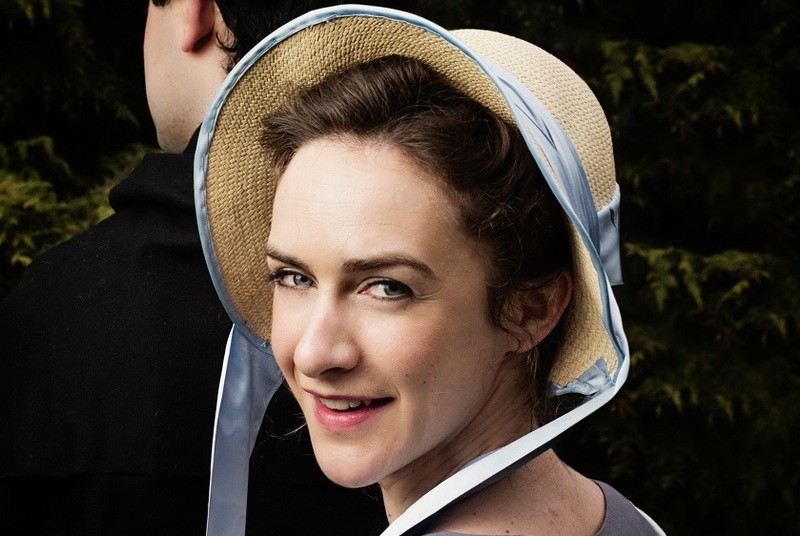 The Rosemary Branch’s latest adaptation beautifully showcases Austen’s sparkling wit and comic characters, and will leave you charmed, whether you’ve never seen or read Pride and Prejudice before or you’re an Austen fan.